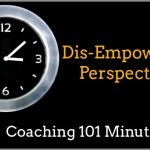 Hey everyone, this is your Coaching 101 Minute, our weekly recap from the Coaching 101 classes here at International Coach Academy. We had students this past week from Finland, the US, Singapore, Malaysia and South Africa. The discussion in class focused on identifying and understanding Underlying Beliefs. Beliefs are not positive or negative. I want to begin by just saying that an Underlying Belief is neither positive or negative. One of the first things that we do in working with a client is to help them not label their beliefs as positive or negative. They just are. 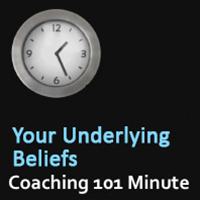 When I began learning about coaching and specifically this concept of Underlying Beliefs, I learned it as Underlying Automatic Commitments: underneath the surface of your awareness, without you actually making a decision. Think of it as an automatic response to all the information that you have accumulated over your life… your beliefs and values. Our underlying automatic commitment, or our underlying belief in something, is really just a reflection of your truth. Awareness is the first stage of change. It comes down to self-awareness. It’s the key to growth and the key to self-development. By being self-aware you can understand more about yourself and this will support you in determining your vision in areas that you wish to grow and to flourish. It is the first stage of bringing something from the subconscious, the automatic underlying commitment, into the consciousness, what we are really aware of. 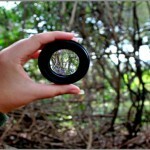 To see something consciously we can determine more about it. We start to ask ourselves questions about our behaviors, we can start to unlock truths about our beliefs, we can determine what beliefs we are committed to most. To be even more specific, it’s an awareness of your emotions. Do your thoughts create emotions that are empowering, feelings of joy, excitement, love and gratitude? Or, do your thoughts create emotions that are dis-empowering, feelings of fear or frustration or sadness. Your emotions are a barometer of your thoughts and your beliefs, bringing awareness to your underlying beliefs. Start by becoming more aware of your emotions. 1) How do I know the best question to ask a client? 2) What is a powerful question? 3) When will I know that I am ready to start coaching during my training ? 4) How do I find my first clients? If you want to learn more about these questions, or about Reframing Perspectives or Underlying Beliefs, come along to one of our Coaching 101 classes next week.